Layout review: At Redline we have several different track layout options and have now installed our first layout review. 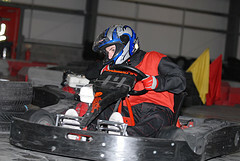 Check back for images of our longer and indeed even more challenging circuit soon. Virtual Tour ~ A virtual Tour of the circuit ~ Check it out!